I love entertaining, being professional and packed dance floors ! I have been entertaining for 20 years. My passion started at just 14. I started 'on the wheels of steel' like most DJs at friends and family parties. Once the word got out, bookings kept flooding in. My success is largely due to my ability to read the crowd and play music from across the decades, 50s 60s 70s 80s 90s 00s and the current top 40. Add to the music a sprinkling of chat and some audience interaction and the dancefloor is always packed. I am always willing and able to introduce your band, cabaret or even the M.D. Please send me an e-mail or just call for a chat about your event plans, even if it's just to find out my availability. I've perfomed at a spread of different venues and occasions so I've got a lot of ideas which might interest you. 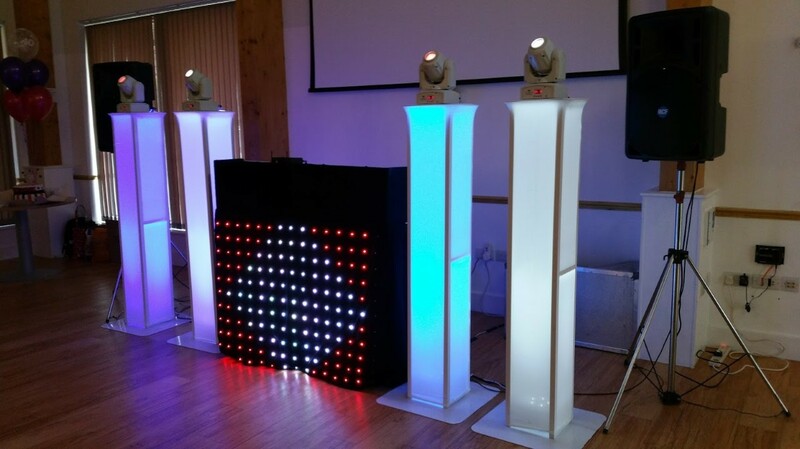 •	I am a very experienced Professional DJ, I've played at a variety of venues and for all age groups. 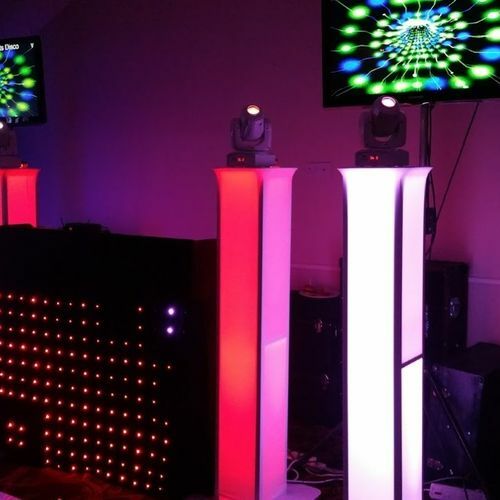 •	I have an absolutely stunning lightshow, mounted on a trussing rig with large LCD screens showing music videos or your own photo slide show. 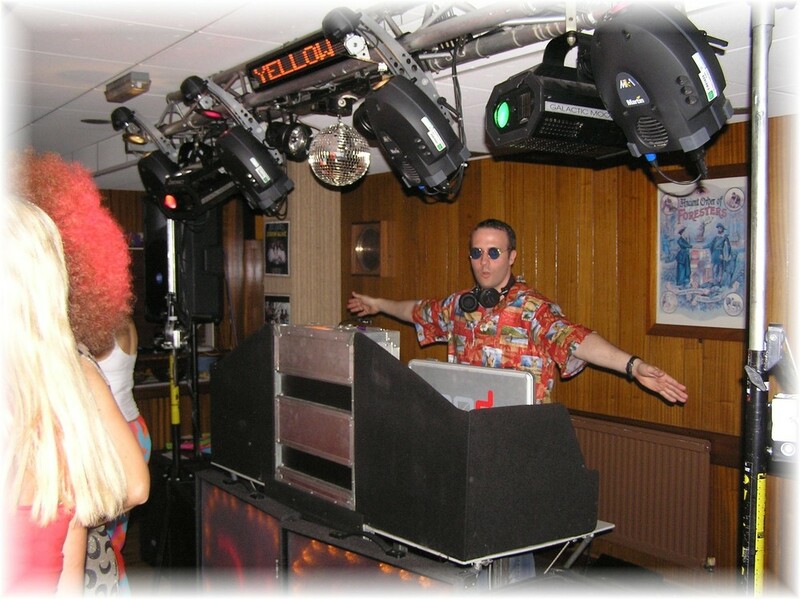 •	I have an amazing sound system that is capable of producing high fidelity sound even in very large venues. •	I always dress smartly, even during the set up. •	It will ALWAYS be myself who DJ's at your event, I never sub contract bookings to other DJ's. •	I am very reliable as I've never let anybody down in 20 years. •	If you book my services, a booking form will be sent out to you as written confirmation. •	I have a massive music and video collection, which I update weekly with the latest chart and dance music. •	I enjoy parties myself, and I always put 100% effort into making your function a night to remember. Aim: To ensure your event is talked about long after it is over ! A professional and reliable service since 1991. Bright Lights has established itself as a top class show. The advantages soon become clear with audio and visual equipment that will impress anybody. At the centre of this independent mobile disco is your DJ and host Rob James. 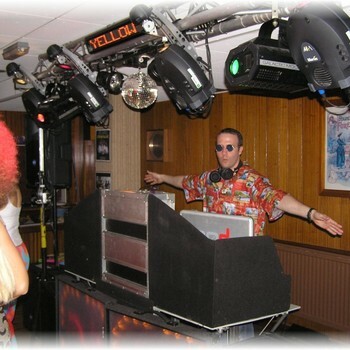 Giving a personal touch to a professional service distinguishes him from most other DJs. With the ability to play music to suit any occasion the play list is tailored to your party. The dance floor is always packed. The combination of Rob James, an excellent sound system and breath taking lights is a recipe for success. 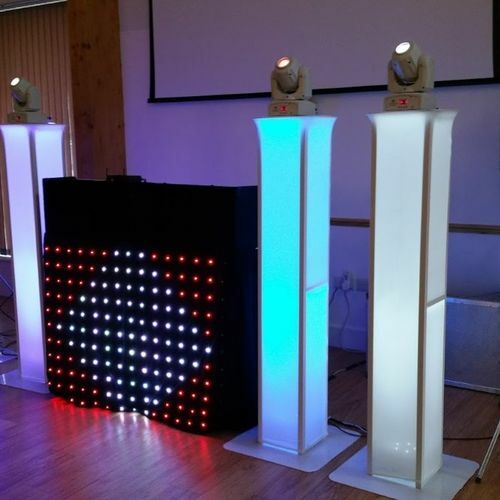 For your peace of mind Bright Lights Disco holds full public liability insurance, ProDub licence and also all equipment checked for electrical safety. Certificates can be viewed upon request. Bright Lights continues to perform at a variety of events on a regular basis. Have you thought about a theme night ? Here's just a few ideas for party themes which have been successful. Please Email any party ideas you have as you'll probably think of some as well. 70s Night ! Grease ! Saturday Night Fever ! Abba ! Having a party theme can create so much fun from the moment you walk through the door. The novelty of wearing something completely different has such a lasting effect and everyone gets involved and interacts with each other. •	Rock n Roll ! •	Country & Western ! •	Oscars Night With The Stars ! •	Rocky Horror Show ! The latest Craze......UV Party ! These are becomming increasingly popular where guests are encouraged to wear white, flourescent face paints and glo stick products. 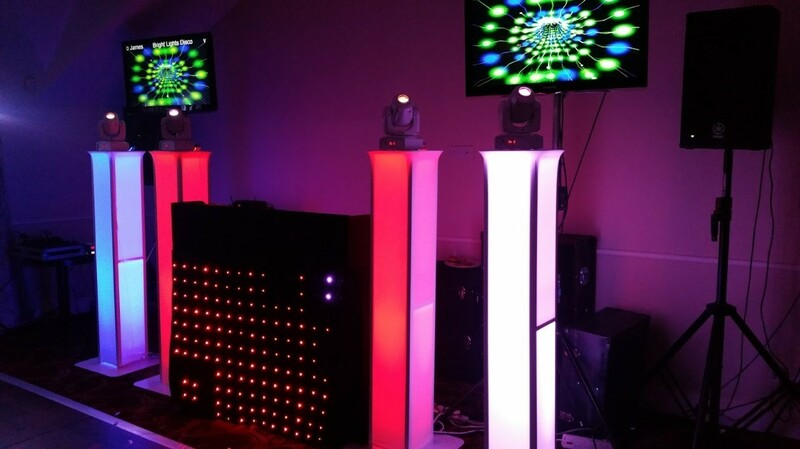 Ultra violet lighting will be supplied making flourescents and white clothing shine and glow in the dark. 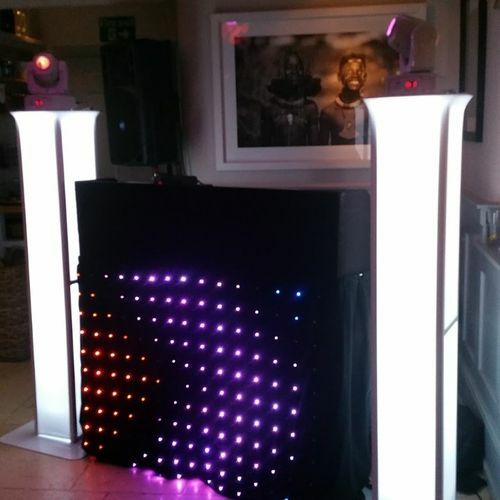 "thank you very much for the superb music and entertainment which made my party so enjoyable"
"we had a great many positive comments from our guests, all who enjoyed the music and thought the disco and dancing were great. Our sincerest thanks for your contribution to a very happy and memorable day"
"everyone commented on how good the dj was and you did a fantastic job !! you helped make a really special night for us and all our guests. We will definately recommend you in the future !" "everyone really enjoyed the evening again...see you next year"
"Thanx for keeping my guests entertained at our party. Will keep your card and recommend you when ever a do comes up. We had a brilliant time and paid for it the next day with coakey voices, sore feet and aching all over!!" 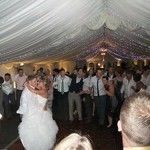 "A big thank you for providing the entertainment at our wedding and for accomodating our wedding singer. The whole day was perfect and everyone had a brilliant time." 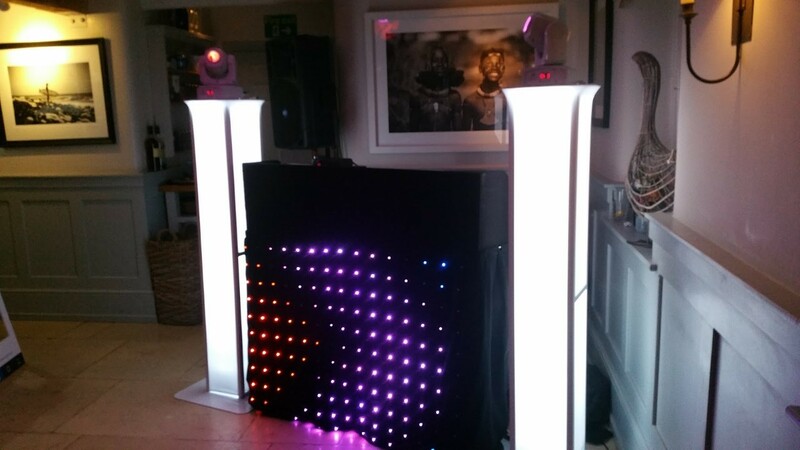 "many thanks for doing the disco at my 50th party, I really enjoyed the evening and a lot of my friends were very impressed with you." "we couldn't have hoped for a better DJ & Disco. Lots of our guests have since specifically mentioned how much they enjoyed the disco and we have you to thank for that. We really appreciated that you tailored the set to our exact requests. Should we need a disco again...we have your number & will use it!"